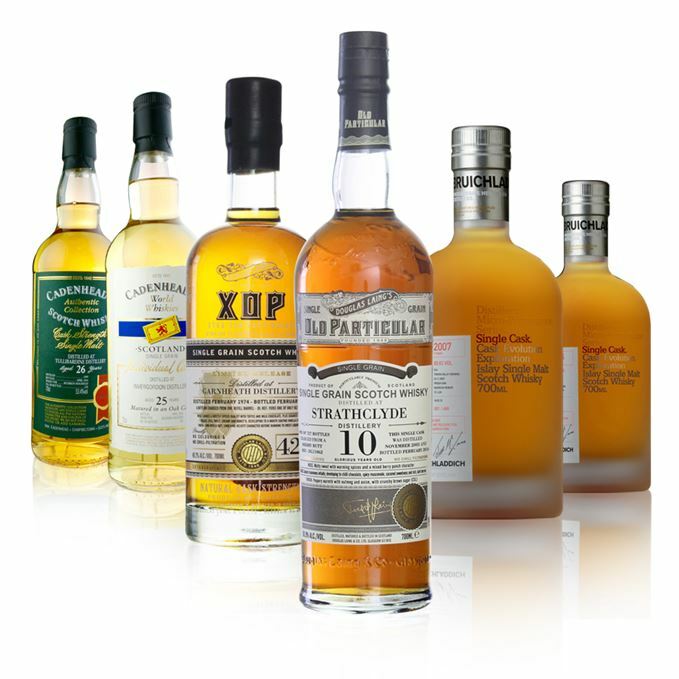 This week’s haul of new whiskies features a trio of grains, including a very rare Garnheath, a feisty Invergordon and a well-structured Strathclyde; a catch-up with a brace of Laddies and a shape-shifting Tullibardine. Big banana notes, oak and the heavy aroma of a barley field in summer, then comes light chocolate, bluebells and daffodils. Some nose burn. I added a lot of water. When diluted, you get more char, a cashew-like element and a slight diminution of the perfume. This is big. In fact, it’s almost too big, rushing at you like an over-excited golden retriever puppy. There’s glimpses of Cadbury’s Flake and Maltesers, then cream and more wood. The palate, when it is reduced (as it has to be), still has power, but now the oak influence shows. 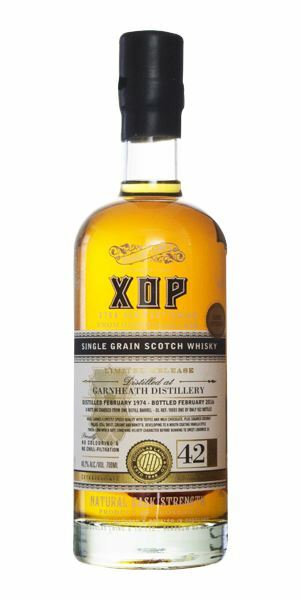 Made from Islay (Rockside Farm) barley and aged in fresh oak. It’s a lot of fun, but it’s just not quite balanced. A puppy chasing butterflies in a field of grain. 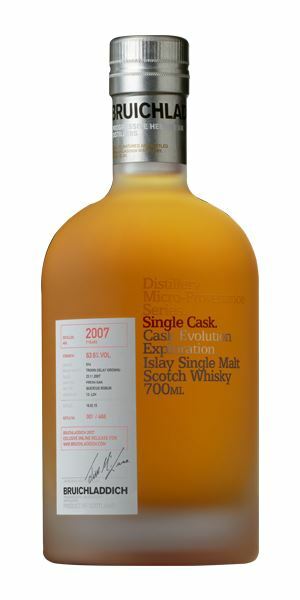 Initially, this seems like a very straightforward Laddie, all sweetness and floral notes, but it’s more intense and honeyed, with touches of a dusty chalky road, then comes hibiscus, tarragon and parsley, all mingling with that sweet undertow. Water is needed, but reduces this impact. The aromatics remain, but now we are looking over the North Channel to Antrim. This could be a Bushmills in its juicy fruits and grassiness. All perfumed and delicate, but the alcohol is intrusive. As I’m no masochist, that water has to go in but, when it does, all that immediacy is lost and you see the separate elements, suggesting that this isn’t yet fully knitted. Hot without water, slightly woody with. 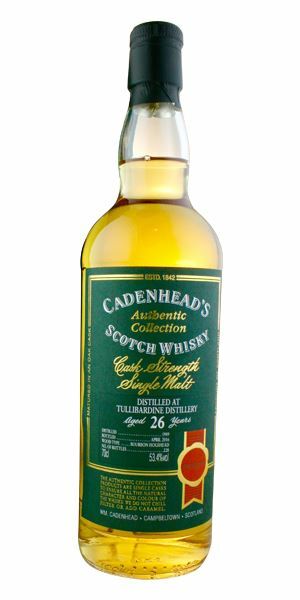 This is the Laddie’s quadruple-distilled spirit in ex-Bourbon, which in itself is fascinating, but ultimately this has from its mother’s womb been untimely ripped. Aine O’Cathain’s perfume drifts on the wind back to her father’s castle. There’s rich oak here, and it’s resinous as well, shifting into Danish oil, graphite, then apple and cherry. It becomes increasingly Bourbon-like – all chocolate, cherry and clove before the spice recedes and a corn-like fatness returns. Lemon accents alongside some cream, a little heat and oak. You could slip this into a Bourbon tasting and people would think it was something like an Evan Williams single barrel. There’s strawberry accents, allspice, oak and a generous palate. The Bourbonisation of Scotch happened a hell of lot earlier than you think! Coming from a long defunct distillery (it closed in 1986), this is a real rarity. There is a lot of oak, but it has balance and is a one of a kind. A must-try. Hank Williams plays a one-off gig in Airdrie. A feisty little number, intense and hot, but with a soft, slightly butterscotch-like note underneath. Once the alcohol burns off, there is a more generous, fat quality, but that slightly nagging hard edge is always lurking. With water it softens, but also becomes a little foosty, with soggy almonds. Hot, HOT. Thrapple-burning hot. 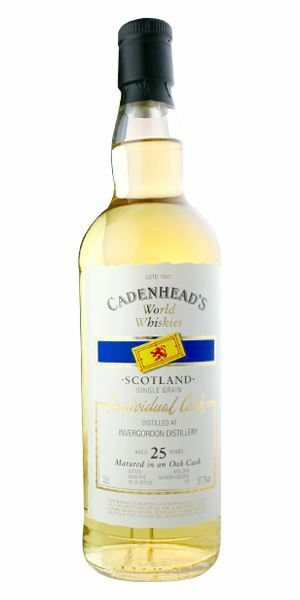 When you add water, however, although the alcohol burn recedes and some of the gentler aspects of the whisky are revealed, that sour edginess seen on the nose is amplified. Strapped into a racing car, the silent driver hands you a sour plum and heads straight for the cliff edge. 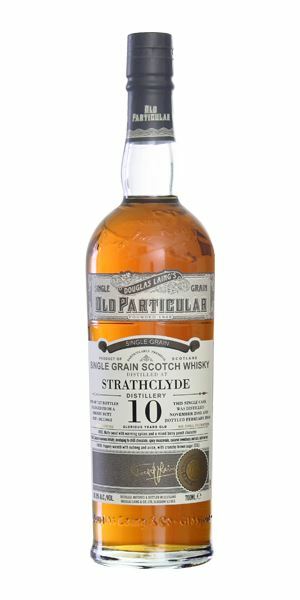 There’s some herbal and floral elements here, almost like a fine-boned rhum agricole, but with the tightness of Strathclyde always present. In time, you get a waft of warm curry spices. Water brings more of this spice and the oak, but the balance is retained. Light, crisp oak to start with. This is a really well-structured grain, though that steely edge is never far away. Some almost nutty elements develop in the centre which, with water added, starts to soften before the spices, pepper especially, ease their way out. There’s some interesting oxidative elements developing here. A more than decent grain. Bringing home a takeaway curry in a brown paper bag. This is a classic Tullibardine to start with, all sweet mash backed with some nose burn, lemon and night-scented stocks and, in the nicest possible way, slippery oak. Has personality, but does seem light. A little more cask influence with time that shifts aromas towards cappuccino. Water changes it dramatically, bringing out this huge, fresh leather aroma. It’s a different dram. A lively burst onto the tongue, then creamily sweet cereal, a real zap of nutmeg. It’s so upfront that things seem to droop in the centre and, by the back palate, there’s a puddle of wet mash. The same dramatic change takes place here when it’s diluted: now there’s sugared almonds, cake icing, that leathery note and a lighter buzz. Still, however, the spirit is slightly too light. Over-ripened corn hanging the head at Ceres’ plenteous load. Two drams for the price of one, and all you need is some water. Tullibardine meets King Tubby in uptown Blackford. All is sweetness and light, then gets heavy.